Choose a Phone With User Authentication Feature | OhGizmo! Buying an Android device automatically means that you get some security features that protect you and your smartphone. For a higher level of protection, however, make sure that your Android device has the latest security features like those that follow. Authentication features have changed much since the first smartphones became introduced in the mid-1990s. The earliest smartphones with authentication features required only a PIN for access to the device. If you knew the phone’s PIN, then you could get access to any app on the device. Eventually, manufacturers included other authentication features such as patterns and complex passwords. Even with these developments, however, a smart thief could find a way into the device. 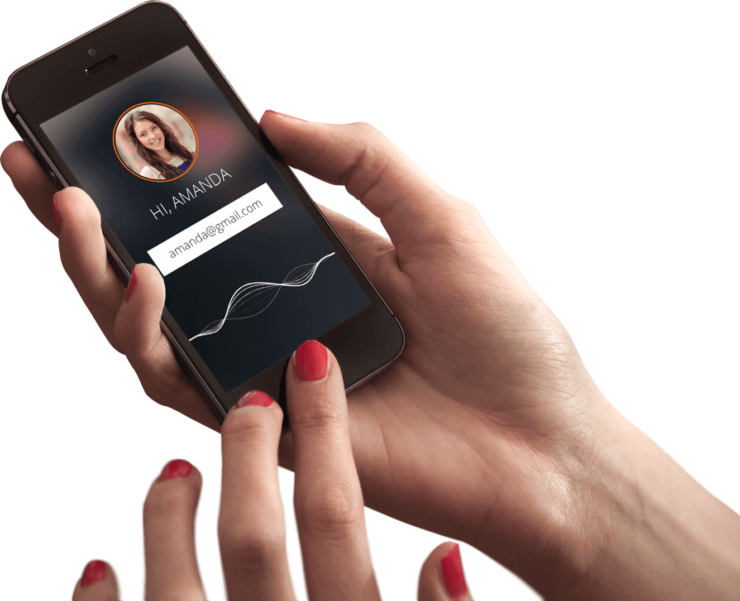 Today’s most sophisticated smartphones have more authentication features. For example, the Galaxy S8 Plus can scan fingerprints, irises, and faces to make sure unregistered users cannot access the device. With this choice of smartphone, you also get the benefit of T-Mobile’s encrypted network that prevents criminals from eavesdropping on your communications. Google includes new security features in each of its Android updates. The latest version, 7.1.2 Nougat, comes with a range of features that will help you keep your device secure. One of the most important features includes a revamped media playback system that doesn’t fall prey to Stagefright attacks. Stagefright attacks use remote codes to run operations in the background. The design flaw essentially allows hackers to overwrite data on phones so that they can execute code without waking up the Android device. In other words, your phone could work for someone else without letting you know. Every new version of Android’s operating system includes security improvements. Some target specific threats, and others offer a generally higher level of security. If you don’t update to the latest version of Android, then hackers could take advantage of your phone’s vulnerabilities. As soon as your phone can receive a newer version, make sure you update your device to that version. Android’s operating system handles full-disk encryption that prevents people from accessing information on your phone. As long as you enable encryption on your Android device, other people can’t use your apps, contacts, and other private data. File-based encryption, which has been available since 7.0 Nougat, goes a step further by letting you encrypt individual files. File-based encryption makes it difficult for people to look at individual files even when they have your phone’s passcode. For example, if someone asks to use your phone, you can let the person place a phone call or open certain apps. However, the user won’t be able to open encrypted files that you want to keep secret. Android’s file-based encryption isn’t perfect. For example, it can slow down your device and doesn’t immediately re-encrypt files once you open and close them. Still, the current level of file-based encryption offers some important protection that you should take advantage of to keep your phone secure. Software developers fight a constant war against hackers who look for vulnerabilities in apps. Even if your operating system has strong security features, an old app could open the door to hackers who want to steal your personal information. Knowing what security vulnerabilities an app will create is quite difficult. The process often takes months of using and investigating the software before anyone discovers the vulnerabilities. All too often, hackers make the discoveries before the software developers. When responsible companies learn about vulnerabilities, they will correct mistakes as soon as possible. As long as you update to the latest versions of the apps, you don’t have to worry about much. Unfortunately, many people put off updates because they don’t understand why having the newest version of their apps is important. As far as they can tell, the apps work fine, but from a hacker’s perspective, these users are leaving their phones open to data theft. Your Android phone can play a key role in the fight for security. However, you’ll get better services when you stay informed and take advantage of the latest security features for your Android device.